Locavores rejoice — a group of farming and culinary enthusiasts are working to bring more local produce to South Lake Tahoe. On Thursday, April 19, Nevada Tahoe Conservation District, UCCE Master Gardeners of Lake Tahoe, Tahoe Food Hub, Lake Tahoe Community College (LTCC) Culinary Arts Program, South Tahoe High Culinary Arts Program, Sierra House and several regional farms are convening at South Lake Brewing Company for an event revolving around local food. 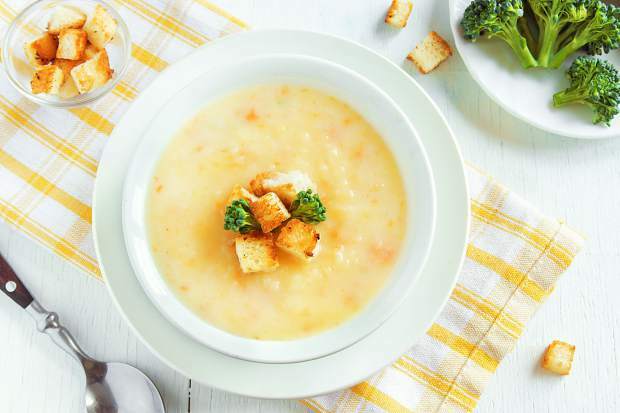 South Tahoe High Culinary Arts Program will be serving up carrot broccoli cheddar soup alongside bread prepared by the LTCC Culinary Arts Program. The food is free, though donations are welcome. “This is an event so that people can learn about the ways they can buy locally within the community,” said Dana Olson, assistant district manager at Nevada Tahoe Conservation District. There will be a number of farmers there who offer Community Support Agriculture (CSA) delivery programs to the South Shore. Tahoe Food Hub, a Truckee-based nonprofit connecting regional farmers with consumers, also will have a booth at the event. The food hub currently facilitates sales between farmers and restaurants, small grocers, schools and hospitals on the North Shore, but the organization hopes to extend down to the South Shore. “We’re encouraging restaurant owners to come because we are really trying to work with the Tahoe Food Hub to bring that down to South Lake so we can have a better option for our restaurants to buy locally from these smaller farms in the 100-mile range,” explained Olson. Olson noted that Tahoe Food Hub is currently working on a grant that would allow them to expand to Reno and South Lake Tahoe. The Community Soup Night lasts from 5:30 – 7 p.m. on Thursday at South Lake Brewing Co., which is located at 1920 Lake Tahoe Blvd.